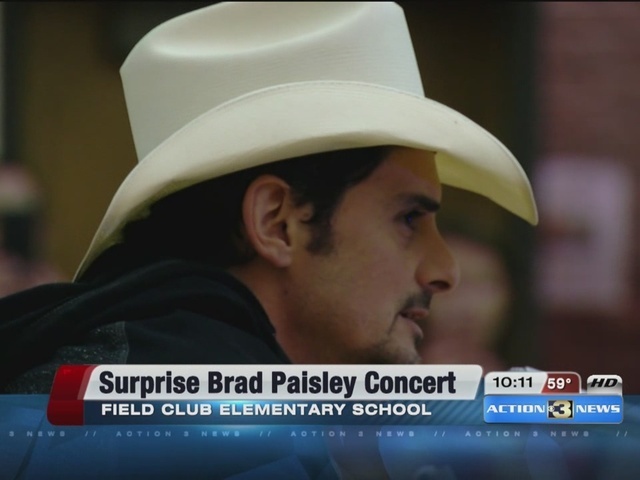 Country superstar Brad Paisley made a surprise stop in Omaha, Nebraska on Friday after seeing a video of some local elementary school students. 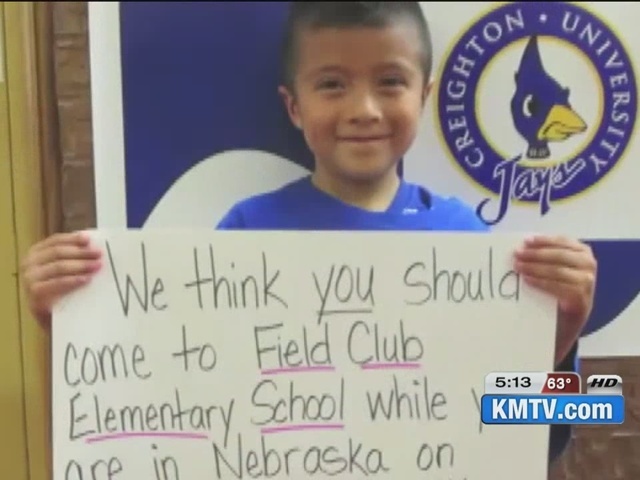 Students at Field Club Elementary School made a video last week, asking Paisley to stop by their school after his concert at Memorial Stadium in Lincoln on Thursday. On Friday, Paisley showed up with a surprise concert for the students. Paisley told KMTV that his father saw the video and told him about it. So, he decided to stop in and say hi. "It's pretty hard to say no when you get a video like that," Paisley said. "It was interesting because they wanted to go to the show last night, but that's not the right thing for kids." Paisley said he had to cut a few of his hit songs out of his set list for his first elementary school concert. He later joked he now knows how Justin Bieber feels.